Remember a few weeks ago when my mother-in-law was in town? Well, she shared a bunch of delicious recipes with me and today I'm sharing one of my favorites with you guys. Sandi's Cucumber Salad is to die for! It's a great addition to your mid-week recipe book. 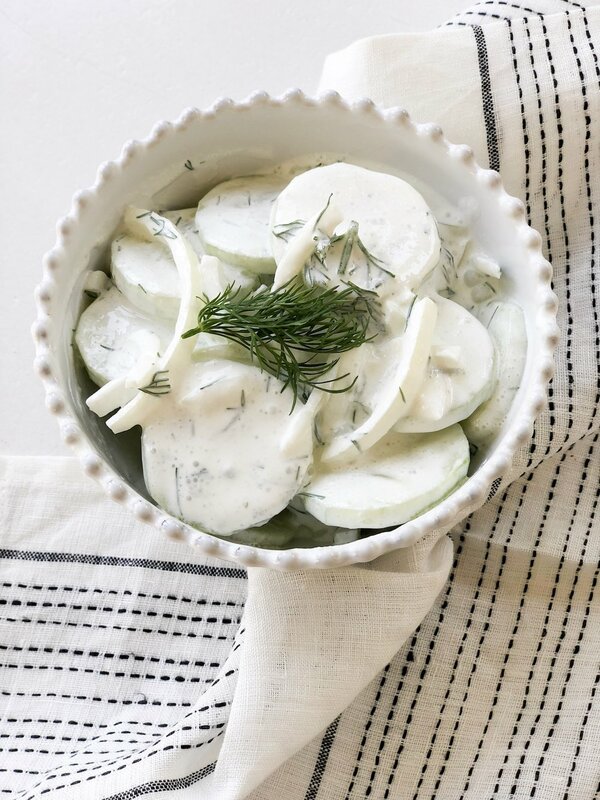 You simply slice the cuke, chop the onion, add in some additional flavoring, mix it all in a bowl and voila, you have a deliciously refreshing cucumber salad!